Alan Cohen and Tancred Schiavoni refused to allow Princeton Economics to continue even when there were people willing to pay all expenses to keep it going. They could not say it was insolvent for there were far more assets than what was claimed to have even been owed that Republic National Bank and HSBC had to agree to pay all victims to avoid jail time. I did not have to pay anyone anything and in fact the government moved for a gag order to prevent me from helping the Japanese against HSBC. 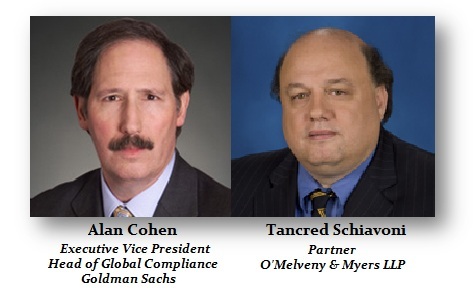 (see HSBC-GagOrder061900 to protect the banks) Cohen and Schiavoni simply refused to allow Princeton to continue to publish any research at the behest of the banks no doubt. I know if I turned over the source code, they could kill me or do whatever they wanted for we have no real federal courts that will rule against government. Note: the CFTC Lawyer who started the action against Princeton for the banks was Dennis O’Keefe. 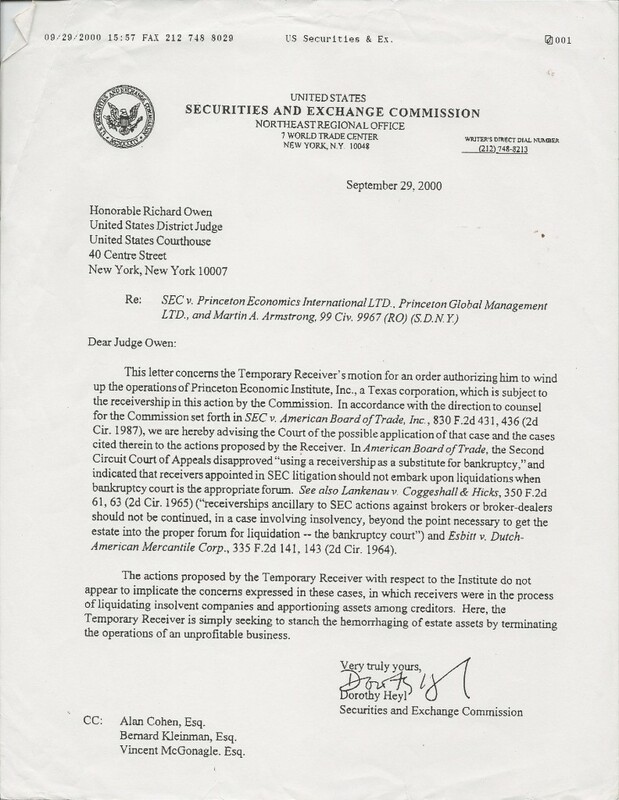 He also started the case against Sumitomo for alleged copper manipulation because the banks were shorting copper and Sumitomo kept trying to defend themselves against the NY banks. 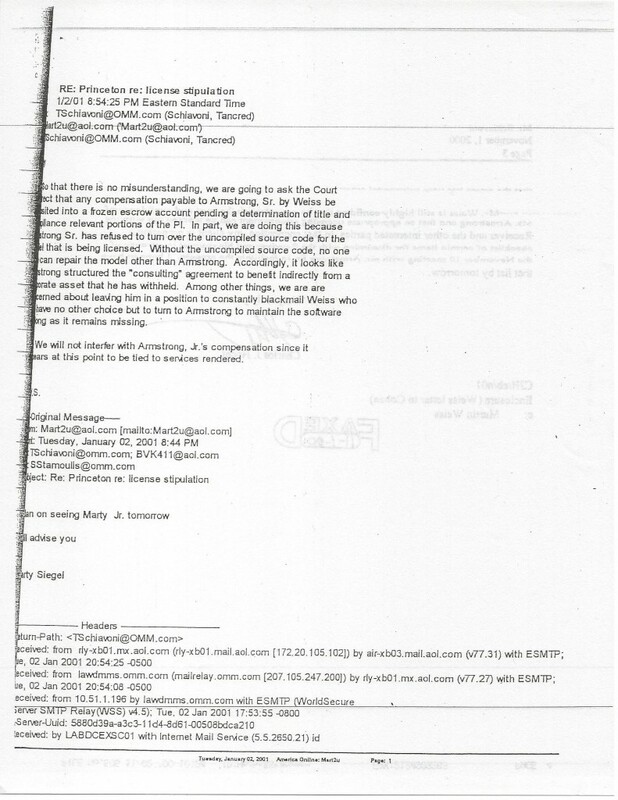 The banks went to the CFTC to get Sumitomo charged for they were short. They made a fortune on inside trading and O’Keefe was disbarred for sharing inside info on the investigation. Of course no one bother to really investigate this set up. Andrew J. Geist is a partner in O’Melveny & Myers LLP which he joined in 2000 after leaving the SEC. Geist selected the firm O’Melveny & Myers to be the lawyer for the receiver over Princeton Economics and they joined that firm. I believe that was a conflict of interest according to the case law Armstrong-v-McAlpin (no relation).